The Accidental Hawaiian Crooner — Newsflash: PROJECT NATALIE is Underway! 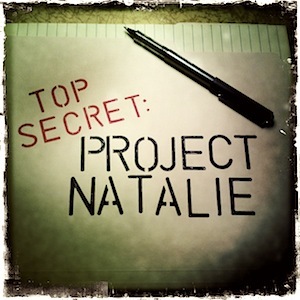 Newsflash: PROJECT NATALIE is Underway! PROJECT NATALIE is officially underway! A really cool project has landed in my lap, so to speak. I’m really excited. And I’m really nervous. I can’t say too much about it. At least, not yet. I can tell you that it’s bigger than what I’ve worked on in the past. After a few lengthy conversations with some influential folks in my world–including Pops, who is behind it 100%–I came to my senses. And it’s going to be eating a HUGE portion of my time. And, of course, I’ll be connecting as regularly as possible on social media outlets like Facebook and Twitter. But why is it called PROJECT NATALIE? I’m glad you asked! It doesn’t have anything to do with someone named Natalie. This entry was posted on Monday, November 26th, 2012 at 8:29 PM and is filed under AHC Home. You can follow any responses to this entry through the RSS 2.0 feed. Both comments and pings are currently closed. Wow, can hardly wait to learn more! I can’t wait to make Natalie’s acquaintance! Mahalo, NoHo! I can’t wait for you all to “meet her” too! It’s exciting stuff, for sure! Much Aloha to you and the ‘ohana.